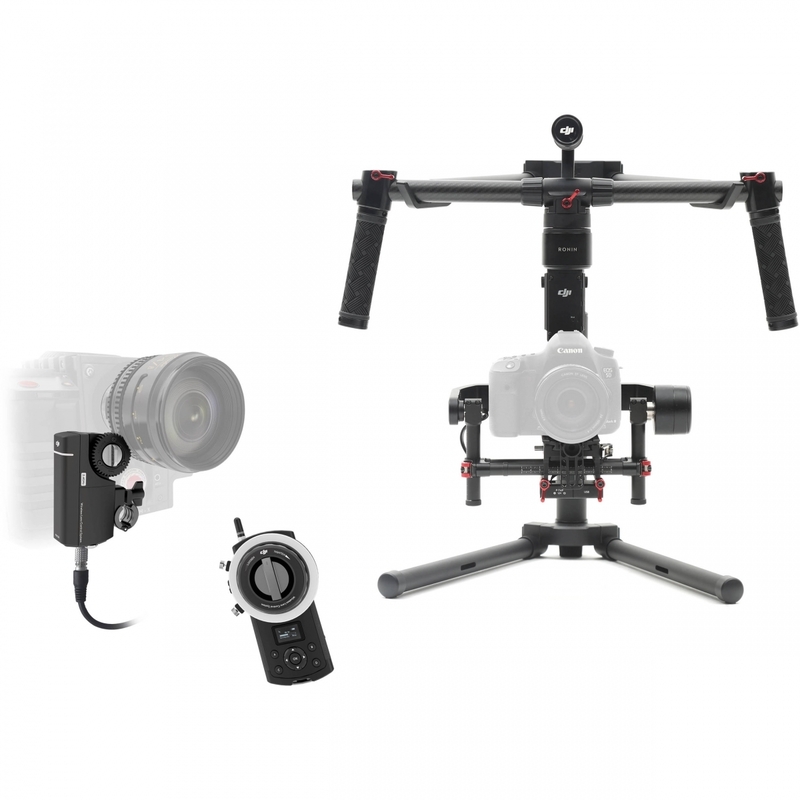 The Ronin-M 3-Axis Gimbal Kit with Focus Wireless Follow Focus from DJI combines a powerful camera stabilization system with the ability for a second operator to control focus manually. The Ronon-M is designed to give the operator close to the freedom of unencumbered handheld shooting but without the hand shake. Suitable for most camera types and configurations up to 8 pounds, the Ronin-M uses brushless motors that work on three axes: one for side-to-side "roll" - keeping the horizon level - one for tilt, and one for pan. While it can be used solo, it benefits from a second operator who can control camera movement and focus while letting the gimbal operator concentrate on keeping the Ronin-M aimed in the right general direction while not tripping over obstacles.The included DJI Focus is a wireless follow focus system that integrates natively with the Ronin-M as well as other DJI Zenmuse series gimbals. The Focus features a handheld remote controller (transmitter) with a focus knob to give to the feel of a traditional mechanical follow focus. The wireless system sports a range of up to 330&apos; line-of-sight with a delay of only 14ms. For more information on the items in this kit, please follow the links below.